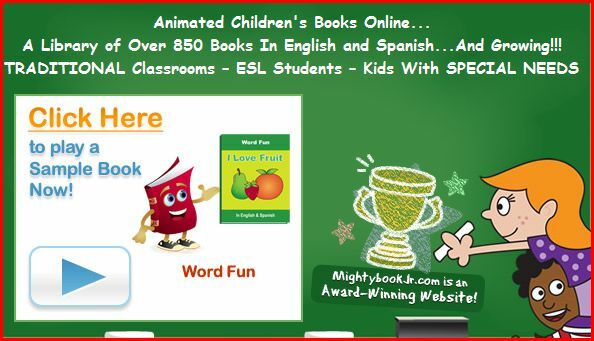 FREE One Year Subscription to Mighty Books Jr.
Get a FREE One Year Subscription to Mighty Books Jr., a online library of over 850 animated books in English and Spanish to inspire early childhood literacy. There are also songs and learning activities to go along with the books. The subscription is normally $99.00, but is FREE, when you enter the coupon code learntoread. Click on the Subscribe Now Link in the upper right hand corner of screen, select, Single Household Subscription and follow prompts.